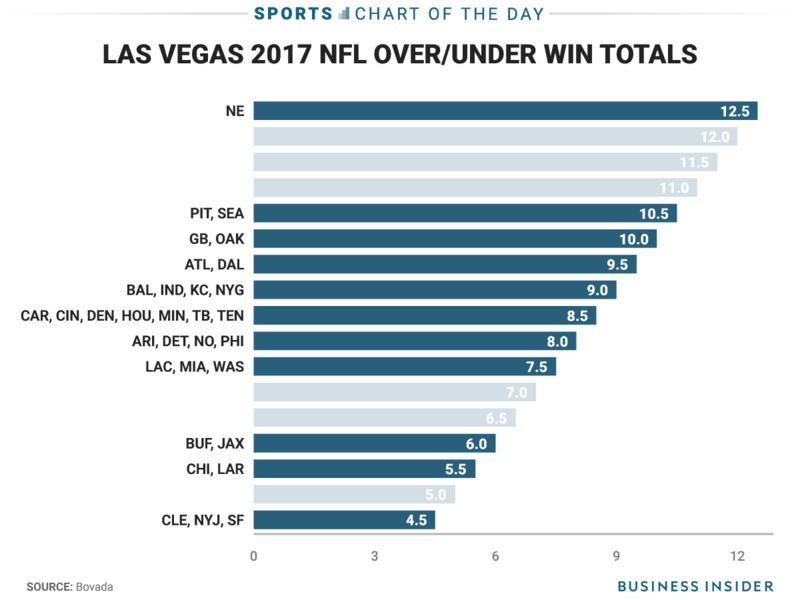 If the oddsmakers in Las Vegas are any indicator, there are going to be three distinct classes of teams in the NFL this season and one of those groups is the New England Patriots all by themselves. 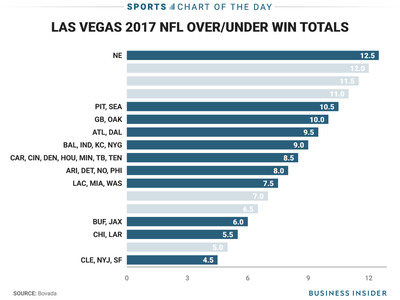 Below is a look at the over/under win totals for every team in the NFL this season, according to Bovada. In general, all 32 teams can be clumped into one of three groups. There are seven teams with over/unders of 4.5-6.0 and will probably be battling for the first pick in the 2018 NFL Draft. There is a large group of 24 teams in the middle with over/unders of 7.5-10.5. For those teams, a good break or bounce, or a bad injury could be the difference between making the playoffs or sitting at home in January. And then there is the final group, which is the Patriots, sitting all alone with an over/under win total of 12.5. They are probably the only lock to make the playoffs and the heavy favourite to repeat as Super Bowl champs.